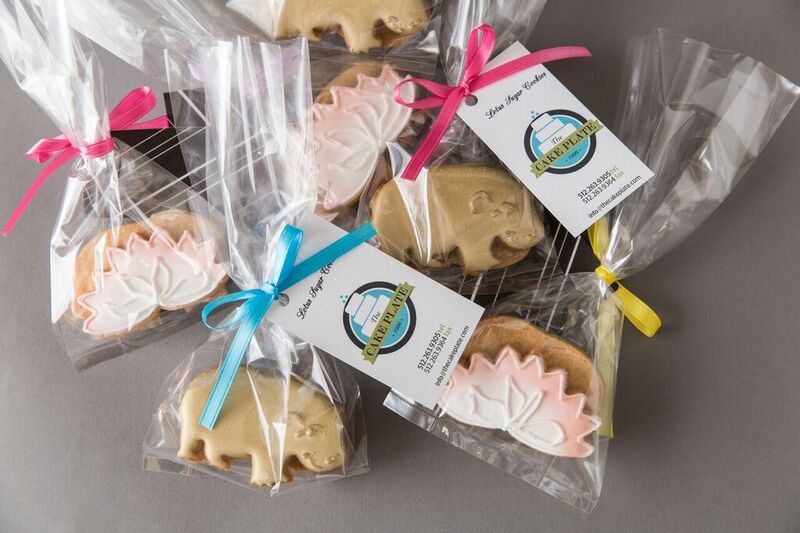 What’s not to love about a company whose motto is Bake it a great day? 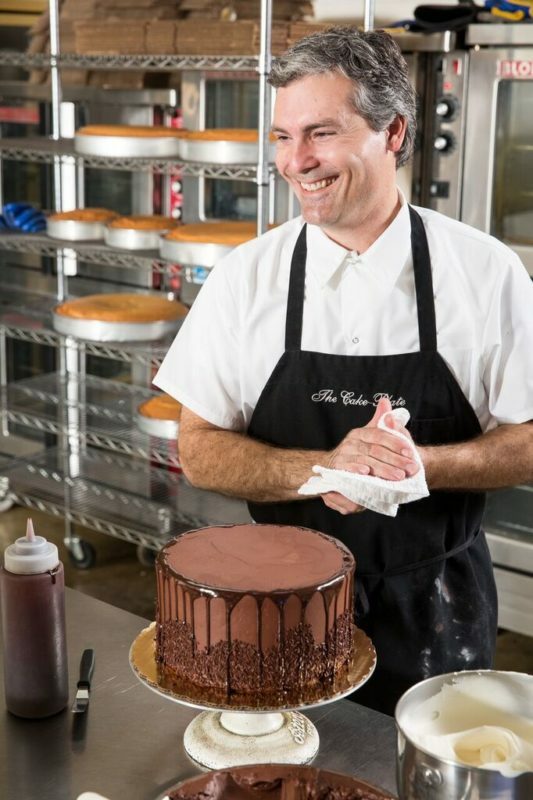 The Cake Plate, Austin’s specialty custom bakery, crafts one-of-a-kind sweet delights for weddings and events. 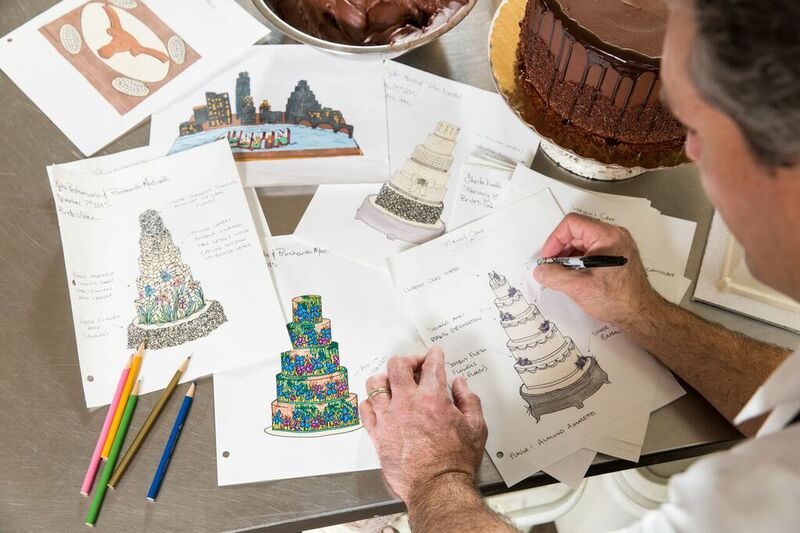 Whether they whip up an elegant five-tiered wedding cake or an unbelievable fondant-sculptured groom’s cake, this team of expert bakers brings a completely unique wow-worthy moment to every occasion. As such, their online presence needed to reflect the fun-loving nature of their work! We brought their brand to life on-screen with branded details like a custom pattern. Keeping their signature colors throughout the new design retained brand familiarity. However, we did update their existing logo to feel a bit more modern. 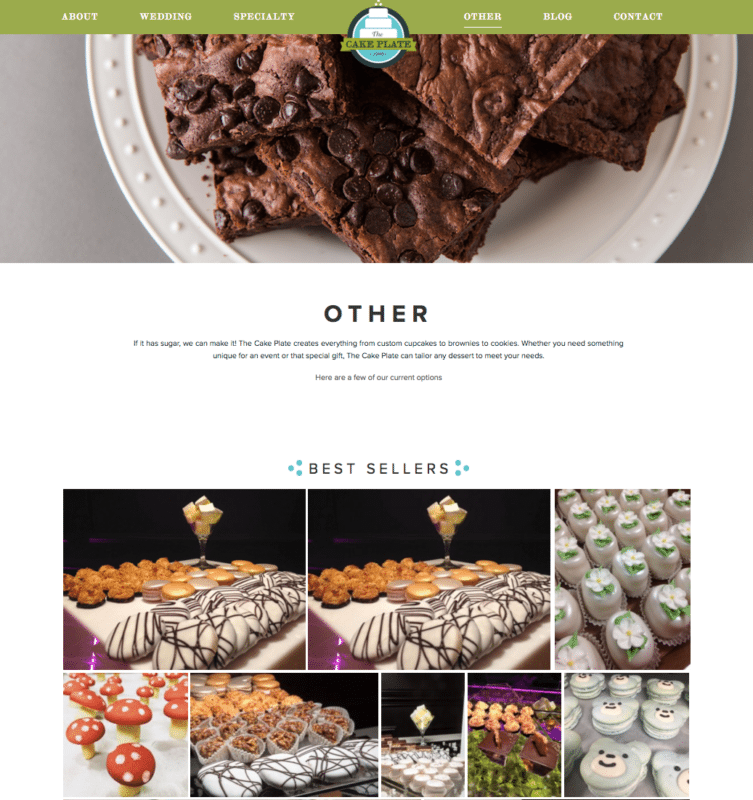 A couple of tweaks brought their existing mark into cohesion with the fresh site design. 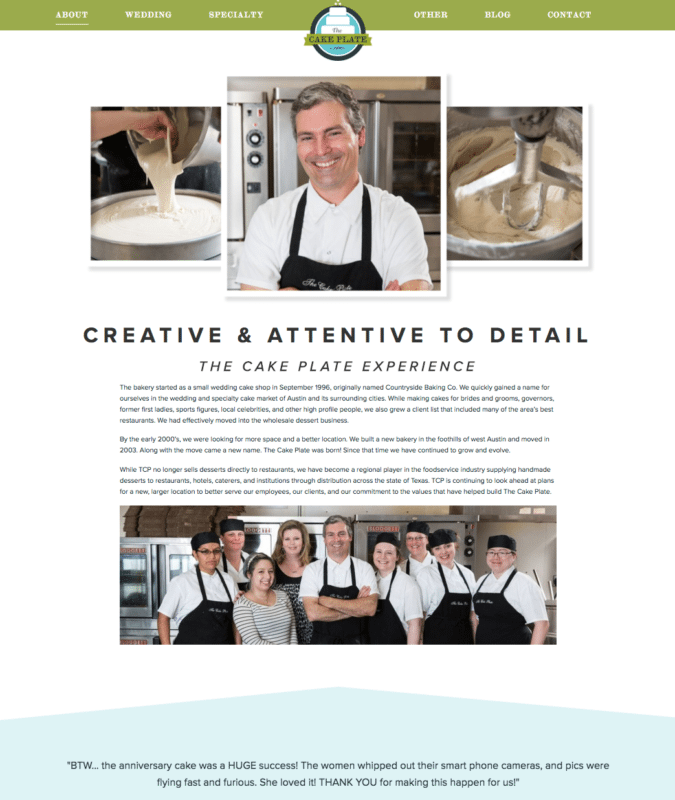 Cake Plate also went the extra mile to tie their look together with a branded photoshoot. We consulted on the shoot, providing art direction for a cohesive look across the board. We provided mood boards for photography and styling inspiration, including a mix of action shots and styled images. Talented photographer Lauren Logan brought all the details to life on camera in this stand-out collection of photos. 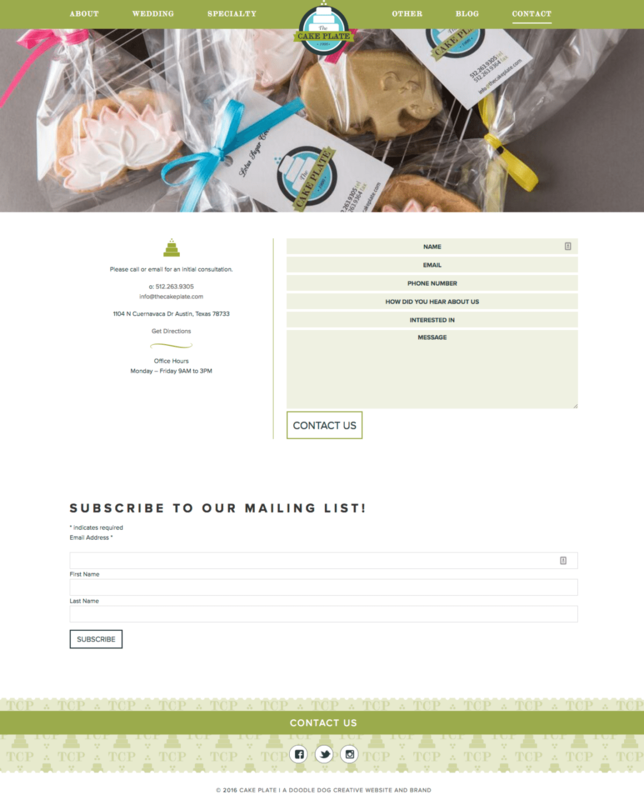 As an Austin website designer, Doodle Dog loves to see clients finish out their brand on such a high note. 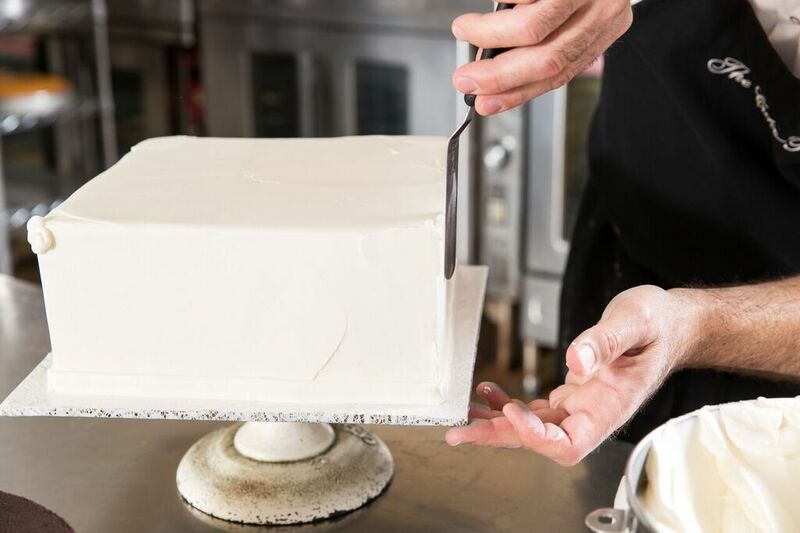 Take a look at the final result: Way to go, The Cake Plate! 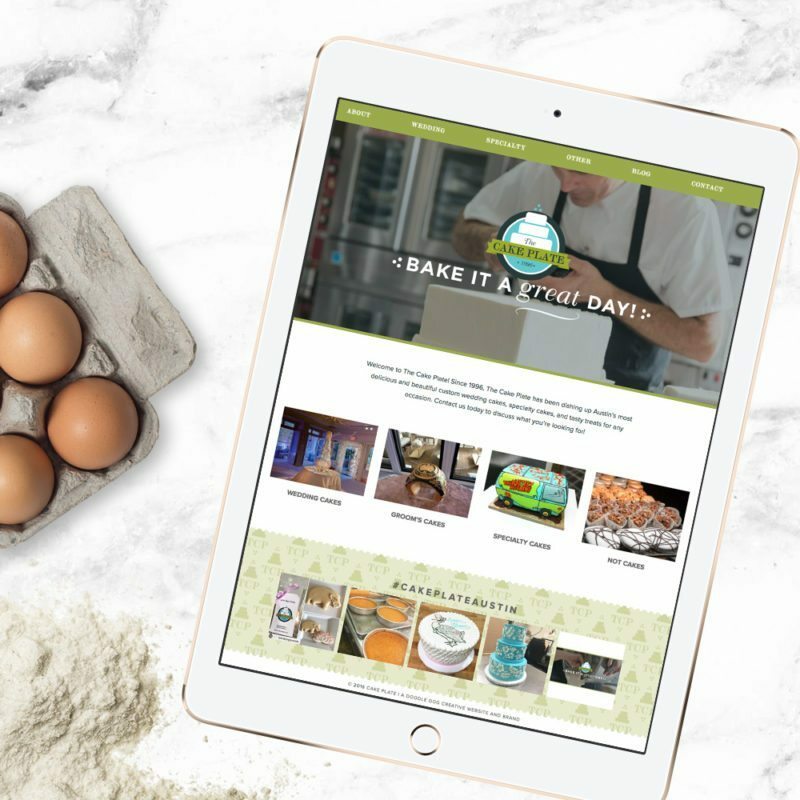 We’re excited to see you take this next step in growing your brand, and we can’t wait to see all your personality-packed cakes taking center stage on your new site. 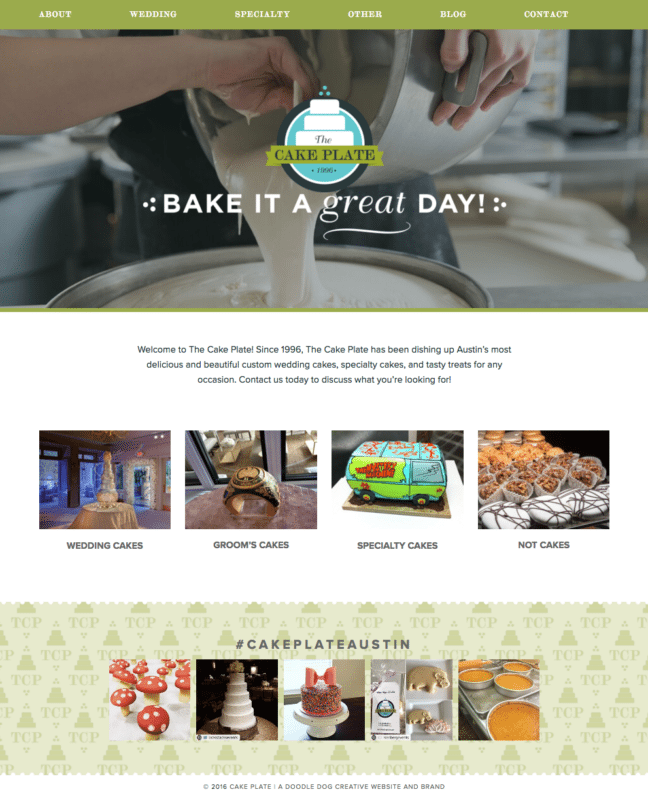 Thanks for choosing us as your Austin website designer.